Singapore – Top South African miler Noah From Goa sent an ominous warning he would be a tough nut to crack in next week’s $1-million Group 1 Raffles Cup (1600m) with a rousing barrier trial win on Tuesday. The six-year-old son of Tiger Ridge responded brilliantly to his regular partner Nooresh Juglall’s urgings inside the last 200m with a sprint to beat stablemate Rafaello (Barend Vorster) by 0.50 lengths. Clarton Super (Benny Woodworth), one of his rivals in the Raffles Cup, which kicks off the Singapore Triple Crown series, ran third, another 0.75 lengths away. “I’m very happy with the trial,” said South African expat trainer Ricardo le Grange. Noah From Goa won the Grade 1 Cape Guineas in 2015, when he was prepared by former champion trainer Mike de Kock, and also raced with distinction in Dubai, but was a flop on his Singapore debut on 6 July in a race over 1200m which, in hindsight, was too short for him. The Mary Slack-owned chestnut made quick amends with a resounding win in a Kranji Stakes A race five weeks later – this time over 1800m, a trip he was attempting for the first time. 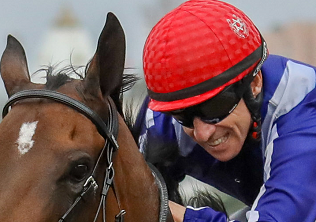 It is with those distance parameters in mind that Le Grange, who also saddles old stalwart Majestic Moments (Barend Vorster) in the Raffles Cup, is tackling the Singapore Triple Crown series with Noah From Goa. The first two legs should not present any problem, but the last one is still uncharted waters. “My plan is to run him in the Raffles Cup, and then the Group 1 QE II Cup over 1800m on October 21,” said Le Grange, who won his first Group 1 race with the late Quechua in the QEII Cup last year. “We’ll see if he can go further than that as he’s never gone further than 1800m. The Group 1 Dester Singapore Gold Cup, the third leg of the series, will be run on November 11. As assistant trainer to Patrick Shaw, Le Grange was a key player in three Singapore Gold Cup wins – Mr Line (2006), Quechua (2014) and Cooptado (2015). Juglall, who has long held Noah From Goa in high esteem, was in an upbeat mood after he unsaddled his mount on Tuesday. “That was a very good trial. 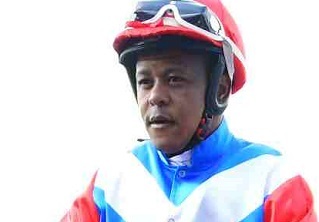 He sure is going in the right direction,” said the Mauritian jockey who just returned to competition from two consecutive two-day suspensions for careless riding – which he waited out back in his home country while welcoming the arrival of his first child, baby boy Aryan. “If the horse stays sound, we will have a good race in the Raffles Cup. He has grown in confidence since his last win.